You were a Challenge Detroit Fellow in our inaugural year, please share highlights of your fellowship year such as a favorite project or experience. My year as a Challenge Detroit Fellow truly flew by. I met so many wonderful people, experienced new places and spaces in Detroit and learned more that I realized. As an inaugural Fellow there was always an exciting sense that we were the first to embark on the adventure that is the Challenge Detroit experience. My favorite challenge project of the year was our food access challenge in partnership with United Way of Southeastern Michigan. In particular on that challenge I recall our team worked well together, had a lot of creative freedom, and delivered an inspired pitch about a mobile grocery store and community kitchen. There are many other highlights from the year, but most importantly are the friendships and professional relationships that continue to remind me of my time as a Fellow. I’ve enjoyed staying in touch with many of my fellow Fellows and watching how our careers and lives have changed in the years since. Caroline with Challenge Detroit staff and alumni at a women’s leadership breakfast. You joined the Challenge Detroit leadership team shortly after your fellowship years as Communications & Engagement Manager. Share about your role, impact and how the work prepared you for your next steps. I consider myself lucky to have worked for Challenge Detroit as Communications and Engagement Manager for more than three years. The Challenge Detroit team is small with all team members wearing many hats, but my primary responsibilities included managing all communications efforts on behalf of the organization, helping to provide a positive Fellow experience, planning many events, supporting recruitment efforts, and much more. My work at Challenge Detroit exposed me to many of the inner workings of nonprofits and opened my eyes to the many possible ways to support and grow communities. I learned the importance of constant feedback with colleagues, peers and partners. My work helped me understand that there is always more than one way to solve a problem and working together often provided an even better result. All of this — and much more — has helped me transition to and be successful in my new role. Because of my work with Challenge Detroit I know that where there is a will there is a way, and that with dedicated partners anything can be accomplished. 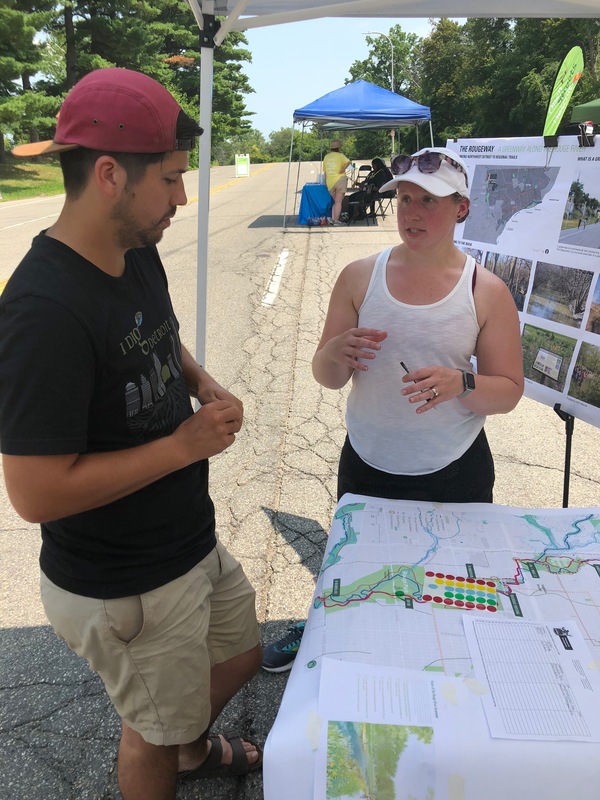 Caroline shares about her project with an interested Detroiter. You recently graduated with your masters degree in community development and returned to your hometown of Albion to work on economic developments happening there. Share about your masters experience and current work in Albion. Summer and fall of 2018 were a complete whirlwind of change for me. In August, with both excitement and sadness, I decided to leave Challenge Detroit and join my family in the economic and community development efforts happening in my hometown of Albion. I made the transition during my final semester of my masters program in Community Development at the University of Detroit Mercy. It was a hectic few months to say the least, but now that I am on the other side of it I see that it was absolutely worth it. Caroline with her masters thesis group at their graduation presentation. As a master of Community Development student at the University of Detroit Mercy I spent two and a half years learning about holistic community development practices with Detroit as my classroom. I enjoyed the program because, unlike other graduate study programs that narrow your focus, my program provided me a broad understanding of community development and allowed me to explore what interested me most: economic and physical development. I entered the program with the belief I would learn valuable skills that I could implement at Challenge Detroit and eventually in my hometown of Albion. Lucky for me, I was right! The Collective Goods pop-up in downtown Albion. 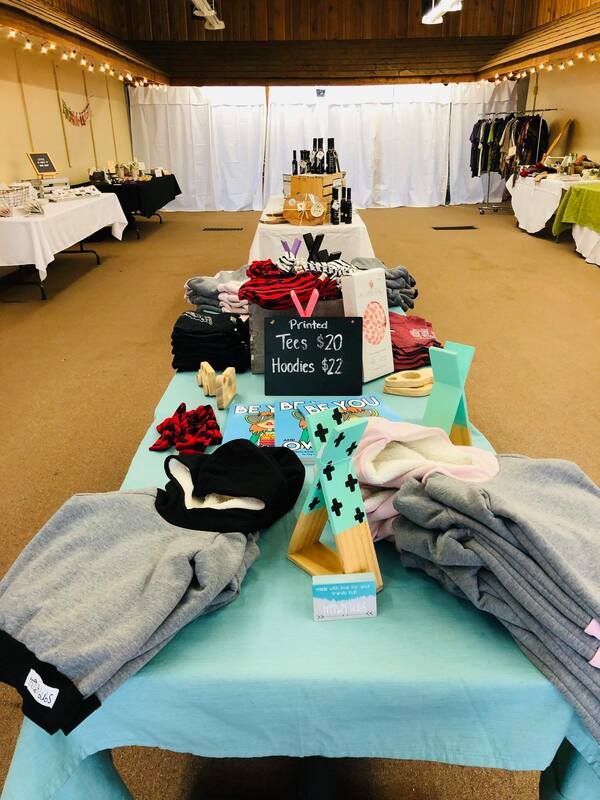 Planned and executed Collective Goods, a six-week holiday pop-up retail market in downtown Albion with the purpose of providing residents a place to do their holiday shopping and reminding them what it is like to shop in our community. Those are just a few of the highlights from the past six months — the best part is that there is still so much to accomplish. My new role keeps me on my toes and allows me to have a lot of creative freedom which I enjoy. However, the best part by far, is that I get to do all this amazing work hand-in-hand with my immediate family! 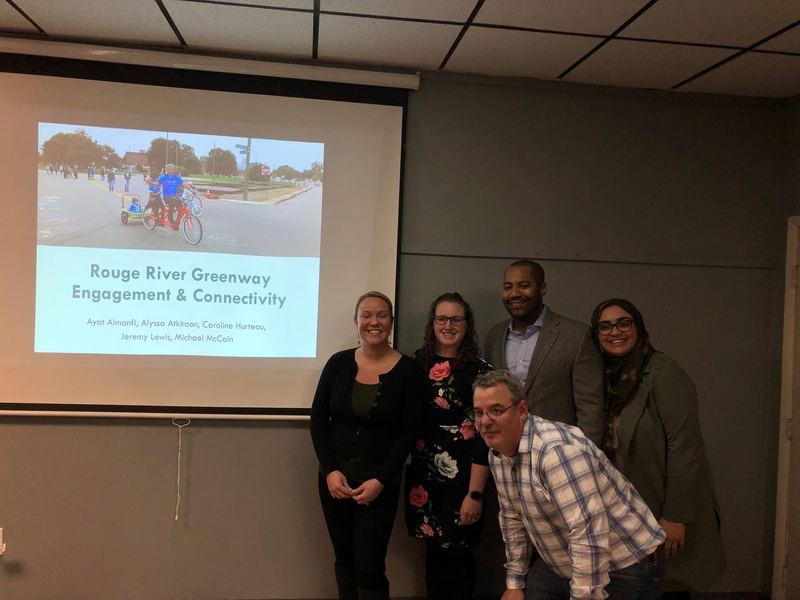 In 2019 I will be focusing much of my energy on grant writing to support various programs and development plans as well as creating events that connect community members together in support of the downtown revitalization. Although you are no longer on staff with Challenge Detroit, we know you will never be far away. As an alumna, how are you compelled to continue engaging in Challenge Detroit? You are right, I will never be far from Challenge Detroit. As an alumna I feel compelled to do whatever I can to ensure that current and future Fellows have a positive experience during their program year. I also feel compelled to connect with the Fellows, support recruitment efforts as I am able, and financially support Challenge Detroit as an organization. Beyond that, I am excited to attend (rather than co-host!) 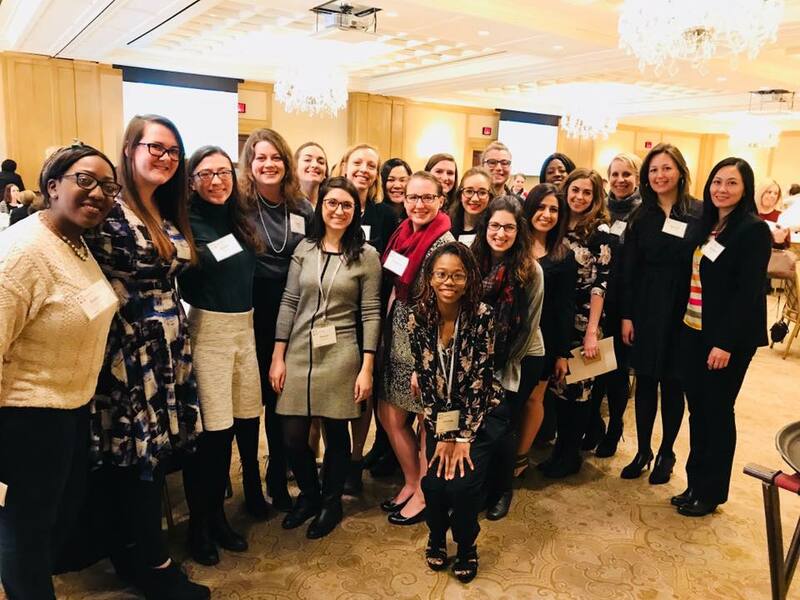 Challenge Detroit events simply as an alumna now. I credit much of my life after college to my Challenge Detroit experience and for that I am so grateful.